Come and join us for a crazy, creative cardboard experience! 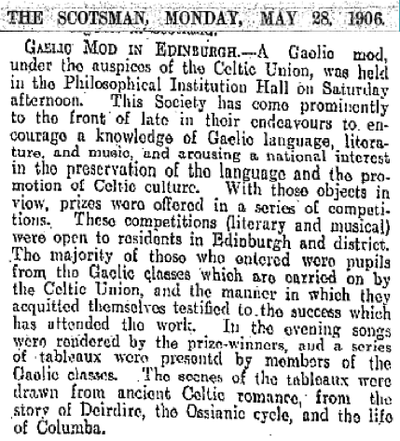 Back in 1906 when the very first local Mòd took place in Edinburgh, they followed the competitions with a concert and some serious dressing-up! Using carefully created costumes and props, they recreated scenes from famous Gaelic tales and legends, making them come alive for a new age. In 2017, the Mòd Fringe team, with input from Edinburgh University's department of Celtic and Scottish Studies and the Scottish Poetry Library, will reinvent the pageant tradition with a very contemporary twist! On the day of the Mòd we'll run a cardboard costume creation station, where we'll use cardboard, paper and parcel tape to help kids (and adults too!) 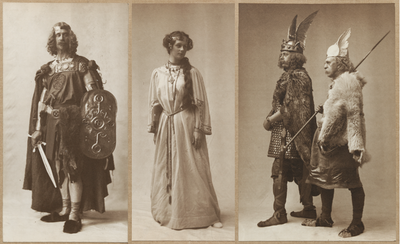 dress up as the heroes and heroines of Gaelic tradition. At the end of the day we'll get everyone together in their costumes for a grand procession, finishing in Pilrig Park where those who dare can test their cardboard mettle in the craze that's sweeping the globe - Boxwars! 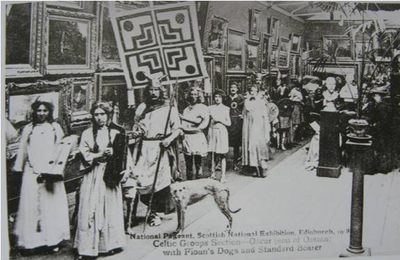 To spur on our brave cardboard warriors, we'll be joined by the great Gaelic poet Aonghas Dubh MacNeacail, who in workshops during the day of the Mòd will work with groups of children to teach them about the Gaelic poetic tradition of 'brosnachadh' or incitement - a kind of poetic pre-match haka - and help them write their own. You can listen to a performance by Allan MacDonald of one of the very oldest surviving examples of these poems, composed for the Battle of Harlaw in 1411. Please use cardboard, paper, and parcel tape only. Please make sure that all staples left in the cardboard have been removed. Let your imaginations run riot! 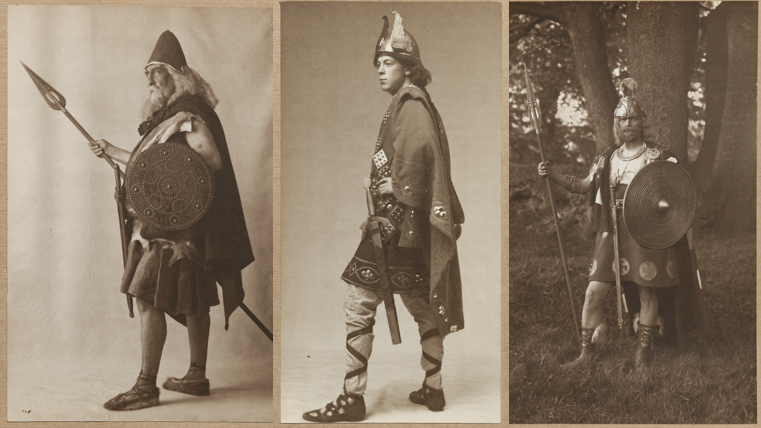 For costume inspiration, children might like to think back to the work that they did on the Celts at the beginning of the year, or to read some retellings of the Gaelic tales of heroes and their deeds. We'll be doing some sessions in class ahead of the Mòd to give them some ideas; older kids might like to read some of the (English-language) novels and retellings suggested in the book list you can download below, many of which are available from Edinburgh City Libraries. We'll award prizes for creativity and flair, for the longest-lasting weapons and props, the most amusing costumes, the bravest and most cunning battlers, and anything else that takes our fancy on the day! Please start collecting cardboard now - we'll come up with a plan for gathering it all together and let you know where (and when) to bring it in. Poster tubes, etc, are especially prized! We'd love as many adults as possible to take part and help us on the day - if you're interested in getting involved please drop us a line at localmodedinburgh@gmail.com.